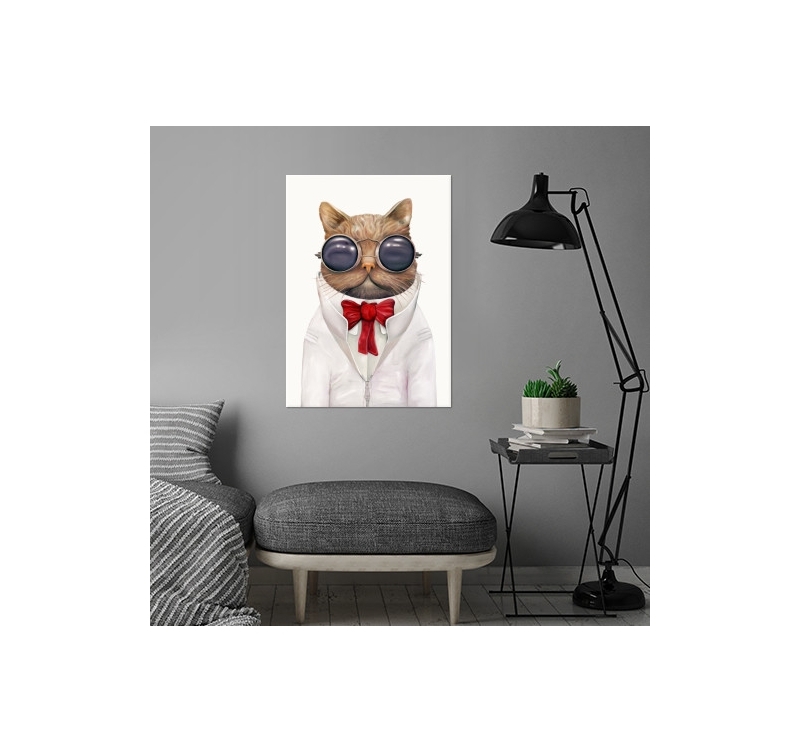 Discover our funny wall poster of a gentleman cat ! This original poster is delivered with its hanging system. 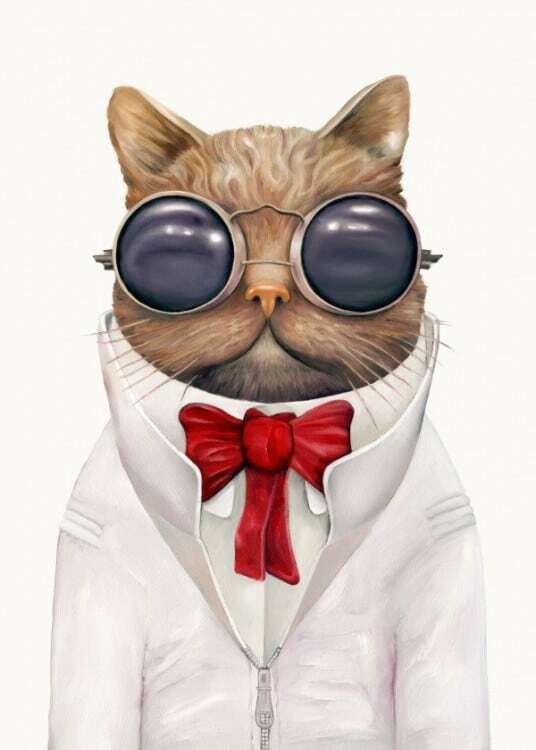 The dimensions of this Gentlemen Cat wall poster are 48 X 67.5 cm. Free delivery in metropolitan France and Belgium for this animal poster. 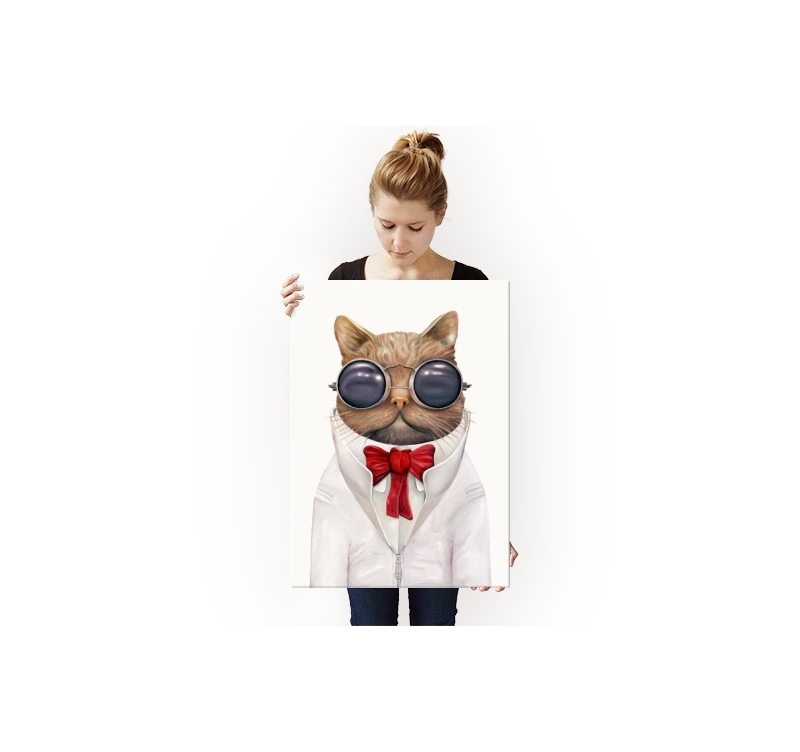 Decorate your walls with a touch of originality with this metal poster of Doctor Cat wearing a white coat and a red bow tie. 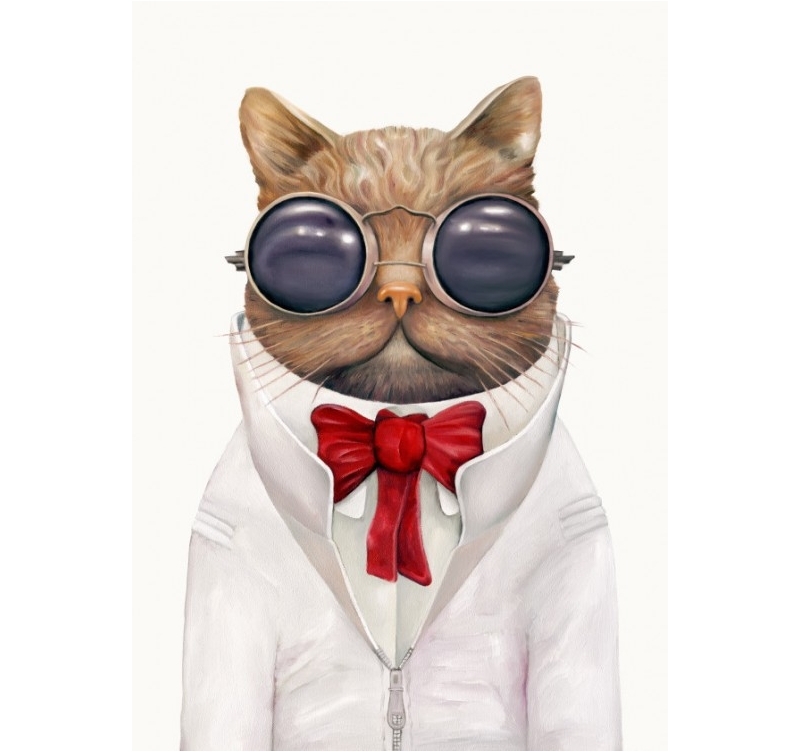 With his serious look and sunglasses, create a funny and mysterious ambiance with this wall poster. 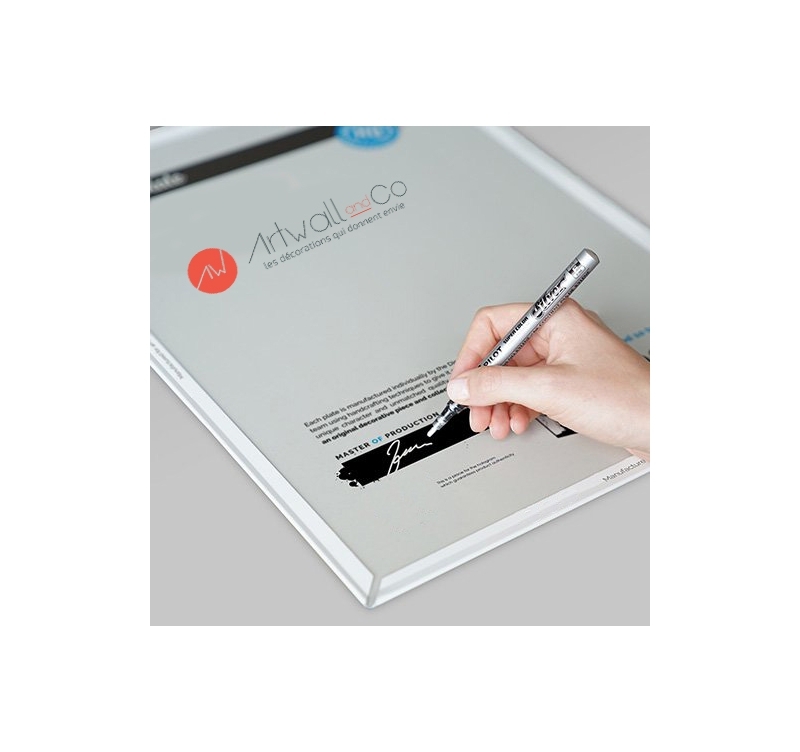 This collector poster was created by our artist to bring an animal touch to your interior. 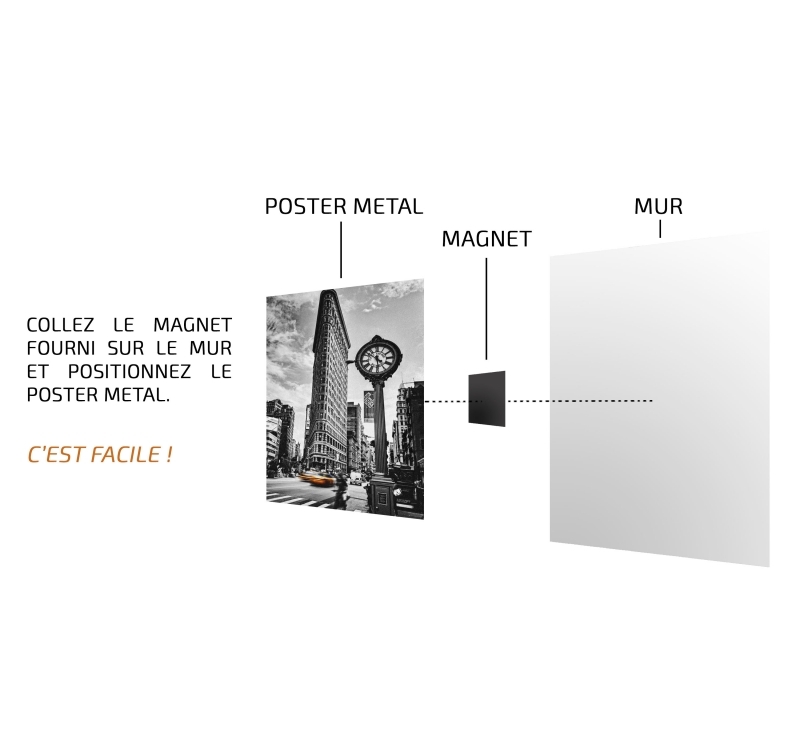 The magnetic hanging system allows you to easily put this original poster on your wall without a hole or a screw. Purchasing this cat animal poster allows you to directly support the artist that created it.